We are very proud of James and also of everyone who has supported him since he started in school at Westwoodside. Particular mention should go to Sally Smith, the school SENCO and to Stuart Pattison at the physical disabilities team. Jack’s story shows how he uses his personal budget to achieve his education, health and care outcomes. He lives an active and varied life with lots of independence where possible. Take a look at our Skills Centre Plus video to find out how we celebrate education and learning in North Lincolnshire. Jack has Autism, Severe Learning Disabilities (SLD’s) and is also partially sighted (distorted vision). See what a difference attending ‘Do Something Different’ session made to Jack. Read Jack’s story. Ryan has Learning Difficulties, Diabetes and some co-ordination difficulties. 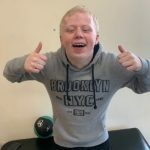 Read Ryan’s story to see how Do Something Different activities have helped him gain confidence and improve his attention span.